The Producer Worm is an old standby when the fishing is rough. It's natural ring design reflects light, and the egg sack is positioned to accommodate 3/0, 4/0, or 5/0 hooks. 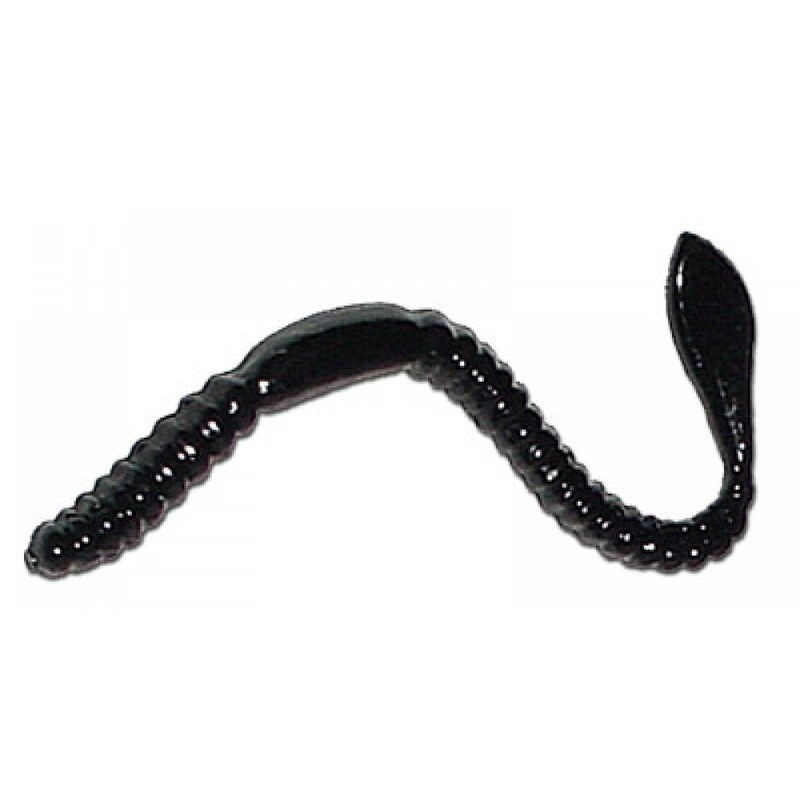 The thick body and egg sack design is great for fishing with a rattler insert. (G1BG) Blk Grp Blu Glit. (G1BGG) Blk Grp Blu & Grn Glit. (G1CG) Blk Grp Xmas Glit. (G1FG) Blk Grape Red Glit. (G1SF) Blk Grp Starfire Glit. (G1SG) Blk Grp Silv. Glit. (H31GG) Blk Shad Grn Glit. (H30GG) Blu Shad Grn Glit. (H30SG) Blu Shad Silv. Glit. (H37GG) Crawfish Shad Grn Glit. (H37SG) Crawfish Shad Silv. Glit. (H42G) Moccasin Shad Grn Glit. (H42SG) Moccasin Shad Silv. Glit. (H38GG) Red Shad Grn Glit. (H38SG) Red Shad Silv. Glit. (WSRG) Water. Seed Red Glit.